Hardware and software platform of CPS driven control system for energy-intensive equipment is then briefly introduced, which adopts embedded control system, wireless network and industrial cloud. It not only realizes the functions of computer control system using DCS (PLS), optimization computer and computer for abnormal condition identification and self-optimized tuning, but also achieves the functions of mobile and remote monitoring for industrial process. Then, using fused magnesium furnace as an example, a hybrid simulation system for CPS driven control system for energy-intensive equipment developed by our team is introduced. The results of simulation experiments show the effectiveness of the proposed method that integrates the setpoint control, tracking control, self-optimized tuning and remote and mobile monitoring for operating condition in the framework of CPS. Prof. Tianyou Chai received the Ph.D. degree in control theory and engineering in 1985 from Northeastern University, Shenyang, China, where he became a Professor in 1988. He is the founder and Director of the Center of Automation, which became a National Engineering and Technology Research Center and a State Key Laboratory. He is a member of Chinese Academy of Engineering, IFAC Fellow and IEEE Fellow. His current research interests include modeling, control, optimization and integrated automation of complex industrial processes. He has published 200 peer reviewed international journal papers. His paper titled Hybrid intelligent control for optimal operation of shaft furnace roasting process was selected as one of three best papers for the Control Engineering Practice Paper Prize for 2011-2013. He has developed control technologies with applications to various industrial processes. 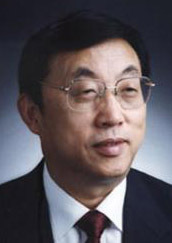 For his contributions, he has won 4 prestigious awards of National Science and Technology Progress and National Technological Innovation, the 2007 Industry Award for Excellence in Transitional Control Research from IEEE Multiple-conference on Systems and Control, and the 2017 Wook Hyun Kwon Education Award from Asian Control Association.